Burlap is a material that is made out of the fibers of the jute plant. It has also been called Hessian cloth, ever since the soldiers that hailed from the German state of Hesse had uniforms made from it. Burlap has many uses, figuring prominently in the carpet industry for example, and has been an important export of India and Pakistan for a long time. Here is a brief synopsis of the history of burlap and some facts concerning this cloth. Jute was used for many years by the people of India, but in small quantities for products such as rope and paper. When English traders saw the potential of the plant they began to export large quantities of it. In 1793 the East India Company brought 100 tons to Britain. Some jute was brought to Dundee, Scotland where eventually a process was designed to spin jute yarn in large volumes. Jute became an important export from the countries that produced it. In 1855 Calcutta became the site of the first jute mill in India, close to the source of the plant. Mills began to sprout up in that region of the world and by 1869 there were 5 operating a total of almost 1,000 looms. When a way to make better grade burlap was invented India began to dominate the world market for that particular jute product. Other countries around the world began to manufacture jute but India had as many as 68,000 looms going full tilts by 1939. When the Indian sub-continent was divided, India lost access to previous lands that were devoted to jute farming, as they were now in Pakistan. India was forced to produce its own jute plants while Pakistan became a major player in the jute market. Jute is grown in India and Bangladesh, which is what eastern Pakistan became. These countries dominate the jute production of the world, followed by nations like China, Myanmar, Brazil and Thailand. The strength of burlap is renowned, as it is hard to tear and can stand up to great pressure. Burlap is extremely weather resistant and can be dried over and over again after becoming moist. It is also available in many widths, weights and forms. Burlap is able to be colored, sewn, treated to protect against rotting and even laminated. There are many uses for burlap in today's world besides being used for bags. It can be made into windbreaks to protect growing trees. It is also used to prevent erosion on hillsides, especially when planting new lawns. Burlap offers great protection from animals such as mice and rabbits to young seedling trees just being planted. Wool is often shipped in burlap and burlap is an important part of furniture making, giving support to the inner portions of chairs and couches. 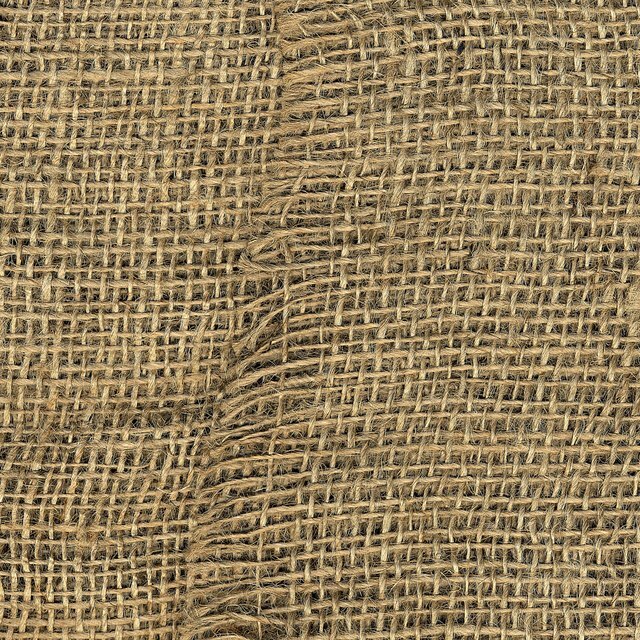 Burlap is described as a "breathable" fabric, meaning that it is resistant to condensation. Because the contents of a burlap bag will not be able to absorb moisture burlap has been used to make all types of sacks and bags for the purpose of shipping such goods as coffee. It is a durable fabric as well, perfect for the rigors that it must endure while containing goods that are shipped from port to port. Burlap, because of this property, is also used to protect cement and concrete that is in the process of setting.